During 2017, BOMA California had great success on a number of key legislative and regulatory issues. Below are some highlights. LEGISLATIVE/POLITICAL EVENTS – BOMA California members and leadership participated in several high-level events which provided access to peers and policymakers. Starting in January BOMA Cal hosted a New Legislators Luncheon in Sacramento which was attended by well over half the new Assemblymembers and Senators from both parties. In April, we hosted a Legislative Meeting at which BOMA Cal members could weigh in on industry positions on over 500 bills. In June, our industry converged on Sacramento to attend the “California Commercial Real Estate Summit,” in which real estate leaders met with Gubernatorial staff and over 1/3 of the Legislature. In December, we will co-host the “Strategic Issues Conference” along with 10 of the top business groups in California and have almost every declared Gubernatorial candidate scheduled to engage in discussions about the future of the California economy. LEGISLATION – On behalf of the commercial real estate industry, BOMA Cal tracked 528 pieces of legislation in the CA State Capitol and engaged on 212 bills (supporting 114, and opposing 98). A full listing of bills, positions, and outcomes can be provided separately. REGULATIONS – On behalf of the commercial real estate industry, BOMA Cal engaged regulatory agencies ranging from the Department of Water Resources, to the California Energy Commission to the Division of the State Architect. Additionally, we have been asked to participate on the newly formed State Access Code Collaborative, Adult Changing Station workgroup, Ghost Ship Fire Task Force, and several Building Standard Commissions workgroups on several code issues important to new construction and tenant improvements. SPLIT ROLL TAX BALLOT MEASURE – BOMA Cal is an Executive Committee member of the political effort to push back against the myriad of groups attempting to put a split roll measure on the ballot. After more than three years of rebutting arguments with editorial boards, at school board meetings, and a statewide education campaign, and defeat of SCA 5 in 2016, leaders of the “Make It Fair” campaign (funded primarily by public employee unions) vowed they would push for a ballot measure in 2018. Our goal is to again defeat the measure before it goes onto the ballot to save industry members from a multi-million-dollar battle. ADA REFORM – CASp LEASE LANGUAGE – AB 1148 (Steinorth) fixed ADA lease language that has prevented many from utilizing the CASp program because the former statutes sweeping requirements for disclosure. Specifically, this bill clarifies that areas not meant for “public accommodation” are subject to the disclosures put into statute by AB 2093 in 2016. BENCHMARKING REGULATIONS – As a primary proponent of AB 802 we helped repeal the flawed AB 1103 statutory requirements which will allow for more flexible regulations. The new law keeps the benchmarking requirements but removes the statutory requirement benchmarking be completed during escrow, limits it to buildings over 50K s.f., allows the commission to exempt certain buildings, and delayed implementation. Final regulations have been adopted and reporting begins in 2018. CALIFORNIA COMMISSION ON DISABILITY ACCESS VP – Through previous legislation we helped establish the California Commission on Disabled Accessibility that promotes and facilitates disability access compliance. BOMA Cal works directly with the Governor’s Office to name our industry representative to this board, which is currently CBPA boardmember Doug Wiele. Doug was elevated to Vice President of the Commission this year for a second time. SINGLE USE BATHROOM BILL – BOMA Cal worked closely with the author to assure workable language was inserted into the bill, but remained neutral because we don’t like to see building code set in statute. Once the bill was signed into law we have worked with the state to produce clear guidelines on what facilities the law applies. Using language our industry helped inform we believe this law can be implemented without inducing lawsuits or incurring unreasonable expenses and/or tenant disruptions. ZERO CARBON PLANNING GOAL— We opposed and helped SB 100 (de Leon D) die on the Assembly Floor, a bill that would have created uncertainty for businesses in the state and increased the cost for energy by creating an ambiguous zero-carbon energy planning goal and requirements for regulatory agencies in the state. BAN ON CONTRACTED EMPLOYEES – We opposed and help defeat AB 1250 (Jones-Sawyer D) a de facto prohibition on contracted services originally for cities and counties. The significant hurdles imposed by AB 1250 would deter or prevent private and non-profit organizations from entering into contracts with local governments and were viewed by many as public employee unions trying to ban private businesses from being able to conduct business with local Governments by making the rules to do so onerous and expensive. STRICTER THAN FEDERAL ENVIRONMENTAL RULES – We opposed and helped defeat SB 49 (de León; D) which would have created uncertainty and increased potential litigation regarding environmental standards, was held in the Senate Rules Committee. The bill would have given broad and sweeping discretion to state agencies to adopt environmental rules and regulations more stringent than the federal rules. SB 49 would have increased the potential for costly litigation by creating private rights of action under California law. HOUSING PACKAGE SIGNED INTO LAW – A “package” of 15 bills intended to help increase the supply and affordability of housing in California was signed into law. The commercial real estate industry supported most of the bills in the package and think this will provide some incremental reform. However, we continue to ask the Governor and Legislature to take on a major reform of CEQA, overregulation, land use mandates, and other laws that drive the cost up making it difficult to build and hard to afford. REAL ESTATE DOCUMENT TAX – One of the bills included as part of the housing package, however, was not universally supported by our industry. SB 2 (Atkins – D) enacted the Building Homes and Jobs Act which imposes a fee from $75 – $225 paid at the time of the recording of every real estate instrument, paper, or notice required or permitted by law to be recorded, per each single transaction per single parcel of real property. This bill shifts much of the burden of the housing affordability crisis onto the commercial real estate industry without any of the reforms we feel are necessary to bring down housing costs. EV CHARGING STATION BILL VETO – BOMA Cal was successful in re-directing the contents of a bill that would have created mandates in statute for installation of EV Charging stations. Although we did go neutral on the bill, the Governor still vetoed the measure stating that it was redundant to the codes process already underway. LAND USE BILL VETO – BOMA Cal was successful in its request that the Governor veto AB 890 (Medina – D) a bill that would have taken away the ability for local voters to vote to approve certain projects. ORIGINAL CONTRACTOR BILL SIGNED — Over our industry’s strenuous objections, the Legislature passed and the Governor signed AB 1701 (Thurmond – D) a bill that will allow employees of subcontractors to sue general contractors for wage and employment issues, even if the general contractor did no wrong. It was a labor-backed “priority” bill and on the last day of session a deal was struck to “fix” the bill next year and remove some of the more offensive language. Our industry did not agree to that deal and asked for a veto. We now hope the measure will, indeed, be fixed next year. SOLAR MANDATE RE-WRITTEN — We are very pleased to report productive conversations with Senator Wiener (D-San Francisco) led to him changing his SB 71, a bill that sought to mandate all commercial rooftops install solar, to focus on improvement of the adoption of solar regulations in both residential and commercial settings. Although the bill did not pass this year we will continue to work with the senator next year. 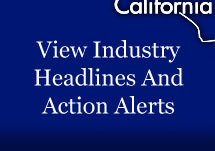 DUAL AGENCY BILL DEFEATED – AB 1059 (Gonzalez-Fletcher – D) a bill that puts an outright ban on dual-agency transactions and firms that conduct dual-agency deals, was stalled in its first policy committee. The bill will be back in 2018 and we are preparing a plan to continue to educate policymakers on why this is such a bad idea. MAJOR EMPLOYMENT LAWS – A tranche of bills opposed by business groups affecting employment law was passed and signed into law by the Governor. If you hire employees or contractors you should work with your HR experts and be aware of your new obligations under the law. These major laws were enacted: Salary Inquiry Ban; Ban-the-Box – Prior Conviction History of Applicants; New Parent Leave Act and Parental Leave DFEH Mediation Pilot Program; Retaliation – Expanding the Labor Commissioner’s Authority; Immigration – No Worksite Enforcement Actions; Harassment Training – Gender Identity, Gender Expression, and Sexual Orientation. “OPPORTUNITY TO WORK ACT” DEFEATED – We were part of a coalition that helped defeat AB 5 (Gonzalez-Fletcher) a union-sponsored bill that sought to require any employer with 10 or more employees to offer additional work hours to an existing nonexempt employee before hiring an additional employees or a subcontractor. This bill would have completely disrupted the commercial real estate industry from retailers who need to hire more help during the holidays to building managers that rely on contractors for most building maintenance issues.